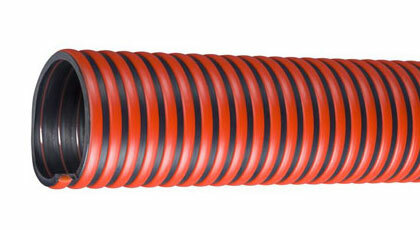 Tiger™ Red TRED™ Series is a black flexible light weight EPDM rubber suction hose with a bright red polyethylene helix construction for outdoor wet or dry applications. Hose is made with superior EPDM compounds for superior chemical resistance, flexibility and durability. Abrasion resistant red helix is designed to slide easily over rough surfaces and around objects; makes hose easier to handle and work with. Ideal hose for septic handling, agriculture, water transfer and construction applications. Click here for more info.